To the extent permitted by and knowing the risk of activity, I hereby release, waive, forever discharge and agree to hold harmless JD Sports Inc., its officers, agents and employees from any liability arising out of my child's participation in JD Sports Mobile activities. I understand that JD Sports will make up for any time lost due to school closure/bad weather or refund for the lesson will be given. I hereby give consent to JD Sports to take photographs of my child participating in their lesson and to use them on the company website or promotional materials without compensation. Your child's name and identity will not be used. Notification must be given if you do not give photographic permission. I agree to pay JD Sports Inc. monthly tuition and annual registration for lessons at my child's center. Your credit card will automatically be enrolled in the auto-pay that runs on the 10th of each month, unless notated in the 'Comments' enrollment section that it is for a one-time payment. All payments are non-refundable. I understand I can withdraw my child at any time as long as written notice is given to my child care center or an email is sent directly to JD Sports. 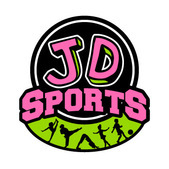 Credit will only be given for missed classes if I contact JD Sports directly by phone or email.